“Lead with L.O.V.E.” is a life-changing book that will embrace and empower readers with a fresh willingness to learn to LEAD from a true motivator, Spencer Conley. The primary points we want you to take from “Lead with L.O.V.E.” are to examine yourself, look at who you have become and stop allowing complacency to sneak up on you. Identify yourself. Be open and honest with yourself, as none of us live 100% of anything. Visit www.TooDriven.com to see what an amazing speaker and coach Spencer has been in so many areas and in so many places. We are just getting started! There’s so much more to come. Remember, once you have your copy of this book and have read it, then, together, we’ll learn how to apply the truth and LEAD with L.O.V.E. 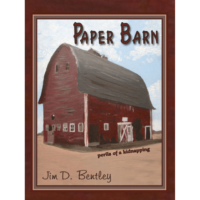 Fantastic news – in just weeks, this author sold out and we printed additional copies. 27 reviews for Lead with L.O.V.E. Spencer Conley, like an experienced gourment Chef has taken the ingredients for success and has put it in a book. 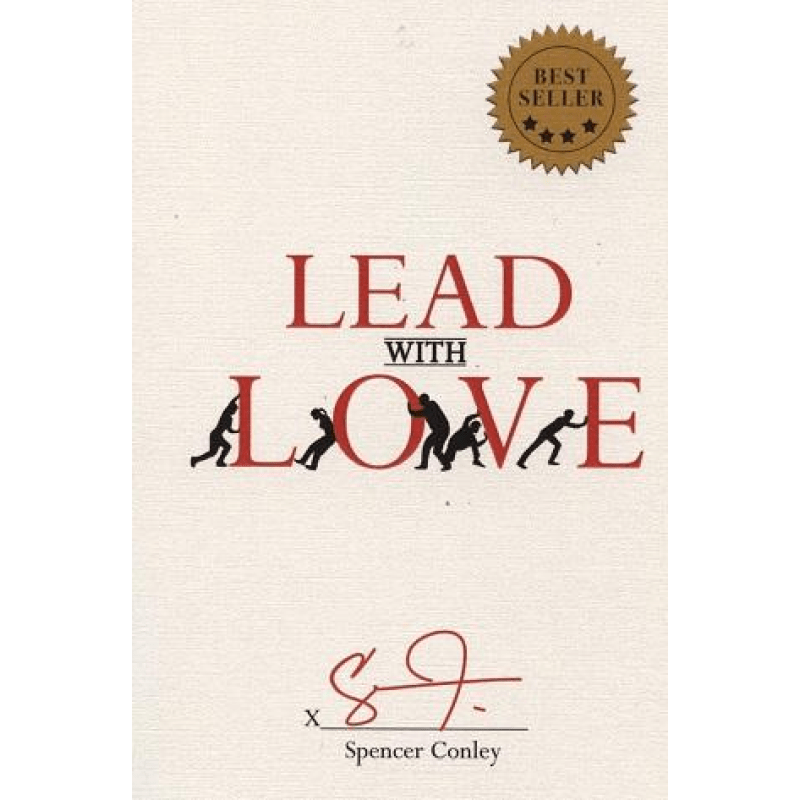 Anyone who seeking to make their own life and those under their tutaledge or employee better leaders, anybody thats looking for success in any genre of life should try Spencers “Lead with Love” recipe! 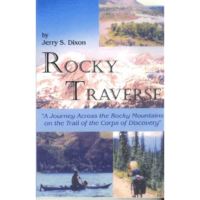 His life experiences as a military brat, an academically underachieving dyslexic to a becoming a college grad, from being a firece competitor who battled injury and setbacks to be including in the ranks of a men who have had a career playing professional football, to now being an inspriration and mentor to a generation of children living in the Artic is his story of sucess and after reading his book “Lead with Love” you will on your way to a success story of your own!! “L.E.A.D. with Love” will provide you with the essential skills and motivation necessary to guide your team or group towards success. Page after page, Spencer Conley’s words will take you on a journey of personal growth that is contagious to all who surround you. Your style is to lovingly rattle my head. Makes me think. It’s not a soft touch. I think of how you swing a cleaver, for a definitive purpose. I love the way Spencer Conley challenges you to examine yourself and what labels you’ve aloud others to place on you. This book is rich in wisdom and exposes the function of leadership. I appreciated him pointing out how you don’t have to be vocal to lead. I believe this is a book that will empower people to discover themselves in all aspects of life, business, intimate relationships, and spiritually. Just reading the introduction….. I have to say, I wanted to keep reading more! I think the intro not only introduced the book, but also introduced you and your passion. This book is going to help a lot of people understand themselves. Thank you. The book is must read especially for individuals who find themselves in a position to positively impact other people’s lives who look up to them. Lead with Love is a passionate and inspiring book written by my good friend who has a tremendous track record when it comes to changing and inspiring people, both young and old. Spencer Conley “Big Coach” is one of the most inspirational, passionate, motivational person that I have been around. He is a leader & innovator, I have personally witnessed professionals to students to youth admire Big Coach when he speaks and directs, I know adamantly, WE will ALL LEAD with L.O.V.E. So the most impactful part for me personally was already thinking of who would benefit from reading your words and I was redirected to thinking of what the message can mean to me. I can relate to being a father and telling sky to do something or say something and her ignoring but then her grandparents will say the same thing and she’s all over it. Made me laugh and think of how I was like that but also reminded me of how hard it is to personally motivate loved ones who know your good but also your flaws. It’s good to get quality messages from others and lead with Love. Spencer is raw talent. He know how to verbalize the secret to success and I feel if I could retain just half of the knowledge in this book, then I can improve my leadership skills with my employees. Great read. Great read that will motivate you to be a better person in both your personal and work life. You can feel the author’s passion come through on every page. This book will inspire and guide those who work in management to become a stronger leader. Just finished reading Lead with L.O.V.E.! It was very enlightening and I highly recommend it. It has opened my eyes to areas in my life that I can approve upon. A must read, it’s that good! This might just be the best self-awareness and motivational book of 2018. Spencer J. Conley brings a flavor all of his own and the message he delivers is far bigger than us. Lead with L.O.V.E is a must read as it takes you on a journey to understanding your own personal vision and path for success. 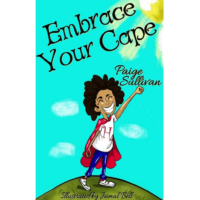 In this book we learn to see our own path while driving home the powerful reminder to never accept someone else’s definition for YOU! This book certainly has me anticipating more from this author. Before you start the book, it’s best to acknowledge your personal weaknesses so that you are receptive to the tons of wisdom packed on each page. The book prompts you to embrace listening actively, refusing to live in fear, and to live your life with a solid foundation – visually, not just conceptually. Buy it. Read it. Absorb it. Apply it. Change your life (business, personal, financial, spiritual) as needed. I have known Spencer Conley for several years now and he is one of the most inspirational individuals that I have ever met. He is so genuine and passionate in his teachings. I love this book, particularly the interactive sections that allow you to reflect on your actions and how they impact those around you. It challenges you to step outside of your box and really examine changes that you can make to share your vision, ideas, and skills. I would love to see my school district use this text to do a book study as part of our professional learning community. This is a must-read for anyone that works with others! “Lead With L.o.v.e” is like no other leadership book you have read. Spencer talk about life changing and how you can improve this in your ways to lead. The book arguing that all leaders must begin with the 1st Principle of “Love” for all they have to do. Then he integrates his carefully defined concept of Love into each of the next steps to be a good leadership. His words challenges you to examinate yourself as a leader, the points you have to get better and the way you do this and it’s not just about business it’s about life! I think this book should standard reading for anybody who has the desire to be successful. If you are unclear in your mind about how or what you need to have better more successful results in your life Spencer Conley’s book Lead with Love is a roadmap and clear path to a more fulfilling and accomplished life! 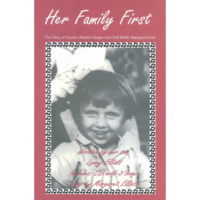 Read it for yourself and get a copy for someone you love! Before I started reading the book, as I always do before reading a book, I flipped to random pages to browse the book. I kid you not, that every page I flipped to, had powerful, life-changing statements! I’ve never posted a review for a book on here before, but had to say something about this one because I got so much out of reading it that I’ve been able to apply to my business as well as personal life. This is an excellent book that not only applies to your personal life, but to your professional one as well. This book inspired me to be a better Me. So inspirational! This book is SUCH a breath of fresh air!!! Both encouraging and inspiring, it really delves into the truth about leadership, and explores various angles of it besides the typical ones we always hear. It’s very honest and fresh, i will be keeping this as a daily reference as well as gifting it to friends and family for the holidays!!! This is truly an exceptional book! I highlight important points in books and normally read over 20 per year on all types of topics. I highlighted nearly a quarter of this book. It’s a quick read and gets to the point. There is no fluff, just real strategies and techniques to improve your life. Well done!! This book is so inexpensive for the valuable nuggets that you receive from inside the cover! This book has been a great tool for my management meetings. I am a real estate branch manager and use this to motivate the sales staff! Spencer really laid it out with easy to use and remember acronyms! This is a must have for any leaders bookshelf! What amazing insight and inspiration this book offers. It challenges you to become a better you a improved new spirit of yourself and give you the tools to be a great leader. If your looking to increase and grow as leader in any industry here is a good starting place. I have met Spencer through his speaking and he is amazing to hear and he will awaken you, if I must say. Lead with L.O.V.E is an excellent inspiration in this day to lead effectively. FANTASTIC read!! Spencer shares some life changing tools we all need to make you a better individual professionally and personally. A MUST read for all in my opinion. You will be a different person by completion. I grew up not having my father around so I try to read material that I think is going to help me in life to be the better me for me and my children . This book is one of the few that I found that I couldn’t put down . Great read ! I was given this book as a gift and now I’m going to be giving it to everyone I know as well. So inspiring and such a fresh and unique take on leadership and how and why people find it challenging. I enjoyed it from cover to cover, it really teaches how to take control of your own destiny and that everyone can be a leader but in their own individual way and manner.